It's a busy week around here, but never too busy for a healthy meal! I made this salad the other night, and packed it "to-go" for work the next day. I recently picked up a package of smoked salmon from Trader Joe's, but hadn't come up with a way to use it yet. I tested it out on some Mary's Gone Crackers, and loved it. So, I decided to come up with a quick salad using the smoked salmon as my protein. I love using simple ingredients that pair well together, & letting their fresh flavors shine through. No need for thick dressings or extra "stuff". The salmon is a great source of omega-3 fatty acids, which are good fats that help maintain brain function & prevent depression. (So cool!) The kale makes a great nutrient-dense bed for the salad, and the avocado supplies a good amount of fiber. 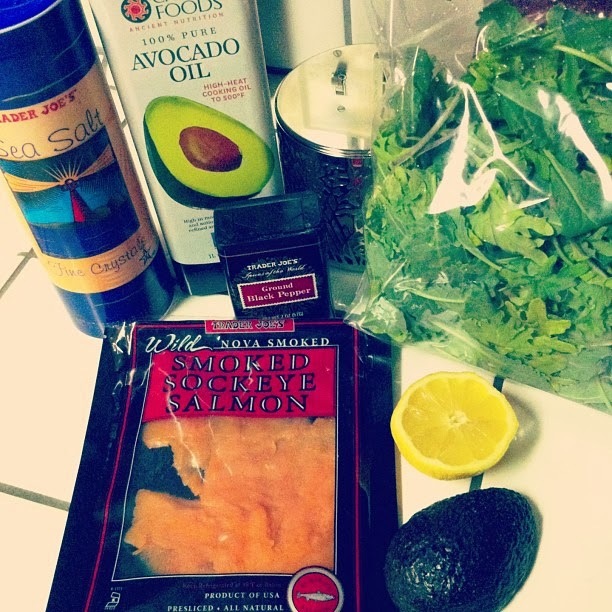 Top the kale with salmon & avocado. 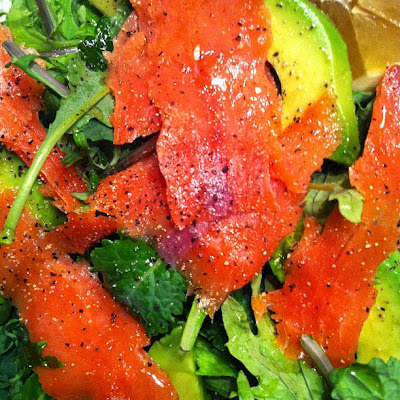 Drizzle with avocado oil & a squeeze of fresh lemon juice. 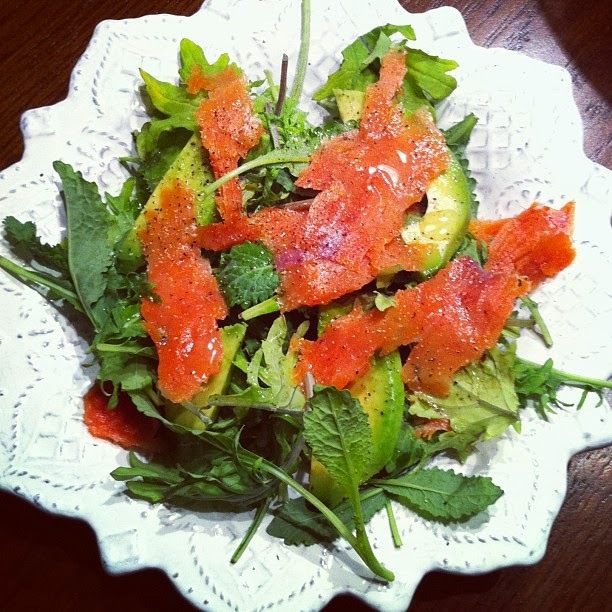 One of my favorite salad... 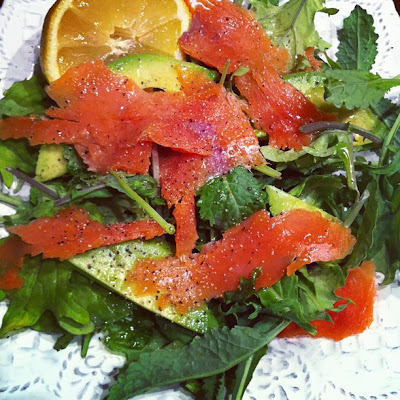 I always order Salmon Salad at seafood restaurants with my dinner.